Art imitates life in the quirkiest way yet, at this She Session. 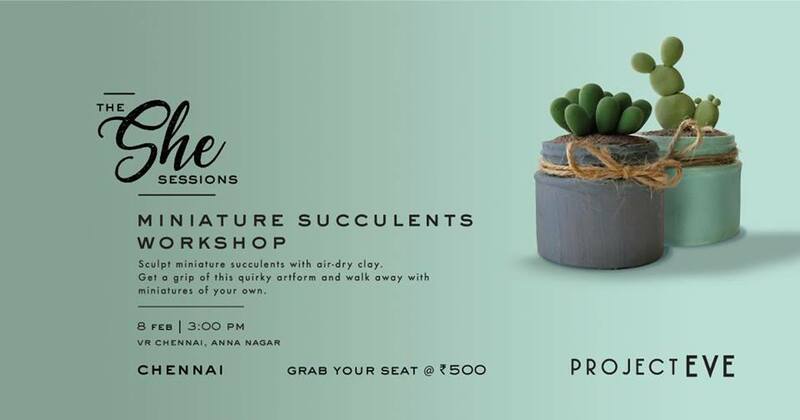 Sharanya’s excited to teach you the tips and tricks of sculpting miniature succulents with air-dry clay. Get in on this unique (and super convenient) medium and take home three of your own succulents. Limited capacity. Materials provided. Tickets once purchased are non-refundable.